You can learn to coupon on a low income, and you will learn how today! I decided to write this post to answer a few questions from my readers. I hope this post helps you all. 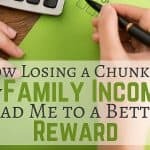 Living on a small income can be stressful and hard, but what if I tell you it doesn't have to be. What if I tell you that you could start saving money on your grocery by doing a few things. One of those things you could do is to use coupons. Even if you are SNAP recipient, you can utilize coupons to help you save money on your groceries. It is possible to learn to coupon on a low income, and in 2017 coupons are even easier to use than you think. And you will find out more about this later, but first, let us learn some facts about our grocery spending when it comes to people who use coupons. Did you know that the average income of a couponer is $50,000 per year and above? That's people with above an income of $50,000 are more likely to use them than people with less income. So why are you not using coupons? Saving money is for everyone, it doesn't matter the income. Coupons are for everyone to use and save money no matter how much you and your family make. Why not take advantage of them to save money or if you are using SNAP to buy more needed groceries? Many people want to learn how to use coupons to help them reduce their grocery budget, but get discouraged after a few weeks. If your income is low, and you want to save money, you need to find ways to save money; using coupons is one of many ways that will help you save money. The reality is that you can't compare yourself to the TLC show Extreme Couponing. Why? ; because as controversial as the show was, scoring deals, as seen on TV, are rare, very rare. Believe me, when I tell you that depending on where you live in the USA, you will not find a store that doubles every coupon you hand to the store cashier. Every retailer has coupon policies with their rules and restrictions that everyone must abide. The show was staged for entertainment purposes, therefore, not 100% accurate. Just because people use coupons doesn't mean they are saving 90% of their groceries every time they shop. Could you be an extreme couponer? Yes, but this is not the site, nor do I believe that ‘extreme' couponing saves you money, but that's another post. But more about that later in the post. 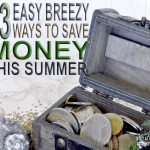 Saving for an emergency fund, and having a healthy amount of food stored, is essential. This goes for everyone no matter the income. Did you know that you can make less money, but if you know how to manage your finances you are wealthier than the person that makes $100K a year and can't manage his/her money and is in debt? The truth is that you need to have money saved up for rainy days and a certain amount of food store away in case of emergency. Now back to using coupons and how they work! When you start learning the game and process of how to use coupons to maximize your savings, it will be worth it. So how have coupons evolved through the years and how can you use them on a low income or that matter a tight budget? The answers are right below. 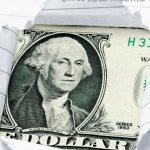 You are desperate to save money and want to learn? You keep asking and posting via social media that you need to learn how to use coupons. Let me tell you why you are failing and giving up. Not having a monthly grocery budget you are going to fail at saving with coupons. If you don't have a way to tracking your money you are going to fail with keeping track of your finances, not just groceries so keep that in mind. You want to coupon and save money, but you don't have a plan. Having the right mindset and a plan will help you save money. You are impatient and, most importantly, you are not budgeting; when you don't see fast results or don't have the right mindset, you give up. Buying the Sunday paper for coupons or printing online coupons, doesn't always mean that the savings will be happening. If you don't plan your shopping trip, you will not save money. Saving money using coupons takes planning, it doesn't matter what your income is. This is not meant to scare you, but so you can understand that you will save money when you take the time to plan. But with proper planning, you will start seeing your savings. 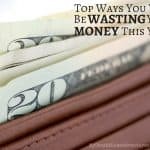 When you are on a low budget, every cent counts, so having a plan and focusing on where your money is going is essential to succeed at couponing. 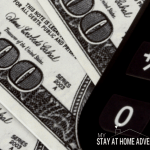 Another mistake people make when starting to coupon is not keeping track of their savings. What happens is that instead of taking the saved amount they continue to spend it on either the same item or another item that is on sale. When you use coupons, you need to track of your saving and make sure you are using that saved money wisely! 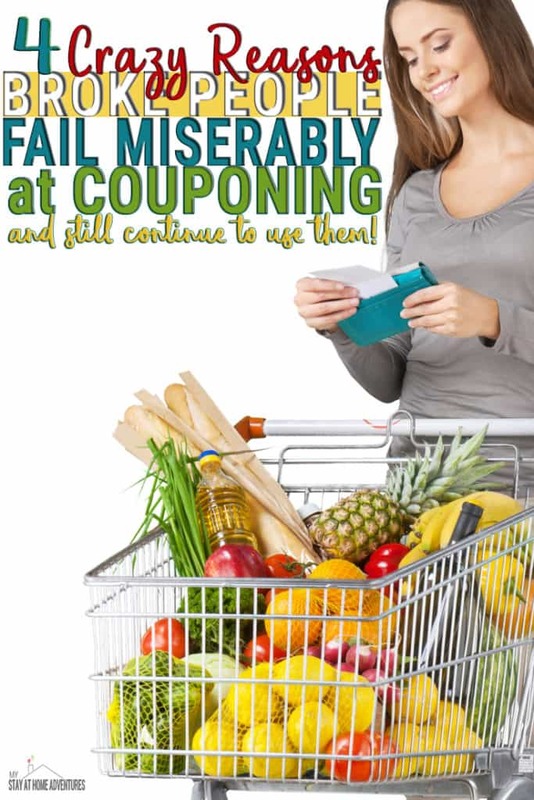 Now that I have mentioned why people fail at couponing let's talk about how to do “coupons” properly, shall we? We need to a to follow these steps below. 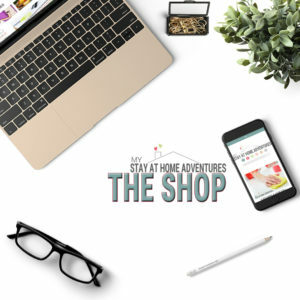 Money saving apps and money making apps are everywhere this day and are such a convenience to those who don't have time to cut coupons and don't have a chance to sit and plan. Money earning apps are top-rated, and for good reasons, they make you money. The way to make money is straightforward, and anyone can do it. Below you find a few of my favorite money apps I use. There are many apps you can download that will save you and pay you back when you buy selected items. Now, don't go all crazy downloading apps if you are beginning to use coupons. You will be overwhelmed. Stick to one store first. We already learned that we need a plan and a budget to start couponing. If you are new to using coupons, I suggest you stick to one store until you get the hang of it; become comfortable using coupons and following sale ads. I recommend Target, and the reason why is because Target has an awesome coupon policy, and is very easy for beginner couponers. When you stick to one store, it prevents you from becoming overwhelmed. 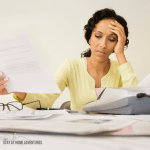 It takes the stress of focusing on different stores and misplacing coupons. When you stick to one store, you get to know things better. It's all about practice and planning, once you get good at using coupons at this one store, move on to the next store and so on. Baby steps my friends, baby steps. What are the steps to maximizing your coupon savings? So let's discuss the steps on how to coupon on a small budget so you can save much-needed money. Below are the simplest of measures to start using coupons. Keep in mind that other blogs may have different ways on how to use coupons, but these methods below are the methods that worked for me when I decided to kill my debt, and I continue to use till this day. When starting my fight with debt years ago, I realized how beneficial coupons were. I’ve been using coupons before, but not in ways that made an impact on my finances. I was able to save more money with the help of coupons. Coupons are not only for groceries items; you can find a coupon for just about anything. If you are serious about taking charge of your finances this year, then I suggest you start learning anything you can about coupons. And if you don't know what coupons are then kept reading because today you will learn all you need to learn about coupons and saving money on your next grocery bill. Coupons are voucher entitling the holder to a discount for a particular product. Coupons can come in newspapers and magazines. You can find coupon inserts in Sunday newspapers. The Sunday paper coupons are still very popular among couponers. Free online printable coupons are found online. These are very popular and easy to find. Top 3 printable coupon sites are Coupon.com, RedPlum.com, SmartSource.com. Social media like Twitter and Facebook, are also great places to find coupons from your favorite brand. Coupons can be found in applications and text messaging too! An example will be Target CartWheele, Ibotta and such as we stated above. In today’s world, coupons are everywhere; you just have to search for them. When used correctly coupons can save you a lot of money. Let's remember what I said about creating a plan when using coupons. By setting up a plan, we are talking about creating a budget and looking at your grocery ads. I wanted to make this as simple as possible, so read carefully and follow these steps weekly to maximises your savings. You need a menu plan to help you stick to your plan and not overspent money. You need to shop weekly (if possible) to take advantage of store sale cycles. You do NOT need to buy everything that is on sale because you have a coupon for it. This is a mistake beginner couponers do, which causes them to spend more money. Each month create a budget and set your monthly grocery budget. Cut or print your coupons. Look at your local grocery stores ads. Create a menu plan for the week. Search your coupons, then match them with the items that are on sale and your menu plan. Use a coupon calculator to show how much you will save. Head to the store, or stores, and try to stay within your budget. That's it! This is the basic way to save money when using coupons. Follow these steps, and you will start seeing your savings grow. The key to saving money is to make a budget and trying to stay within, or below, the budget with the help of coupons. Remember to start with one store until you get the hang of using coupons. After you feel comfortable, shop at other retailers and shop their weekly sales. Make sure you buy items that are on sale to maximize your savings. Most importantly, stick to your budget! Coupons are not time-consuming if you know what you are looking for. I don’t print, or cut, every coupon I find. I cut the coupons I need and what meets my plans. If you find a great deal on an item, stock up; but remember to stay within your set budget. Stretching that dollar is important, in particular on a low income. I hope that this post helps you understand and maintain the use of coupons. Your turn: What other tips do you have to use coupons on a low budget? You’re so right…couponing really does require a plan! I have two stores we always shop at, so I pair their circulars with the coupons I have in stock, but I only clip for what I normally would buy. Otherwise it’s so tempting to spend money on “new” stuff just because it’s a deal! You are so right! You can coupon and spend money, but you can plan and coupon and save money.